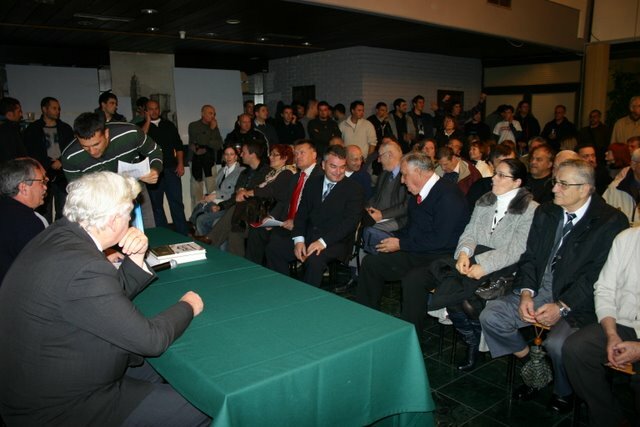 At the “Split sports hall of fame”, 26th of November, 2010 the Baseball club Nada SSM Split organized a book promotion “Nima baluna do baseball baluna” (No ball to the baseball) – 35 years of baseball club Nada SSM Split by author Mladen Cukrov. By publishing this book the author put his name on the page of Split sports chroniclers. This book records the life of club and people who “revived” baseball after the Second World War and again “infected” Split with this sport. 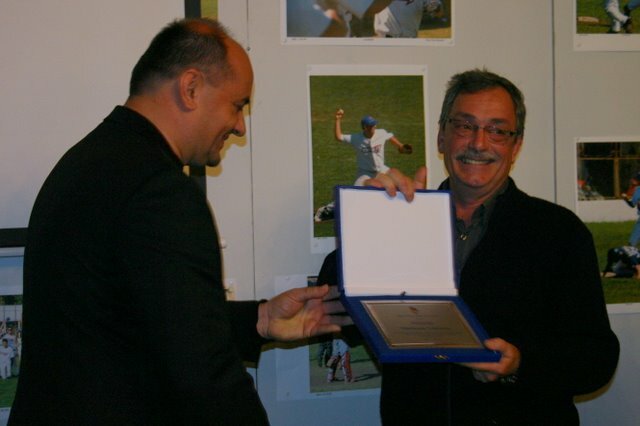 In book of 215 pages Mladen Cukrov presented the life of the club from the beginning and the idea of Prof. Vinko Milas, and founding baseball club Salona in 1974, first rules which Ela Ganza translated from Italian to Croatian, through the tournaments in Italy and co-operation with the Slovenian clubs, moving on to “Stari plac” 1979 (present field which is not baseball field), glorious eighties and the first national titles (1980 and 1981), magnificent 1992 and the first Croatian champions, beautiful girls from softball team which won 9 national championship titles, and to this days which continues honor of old generation. 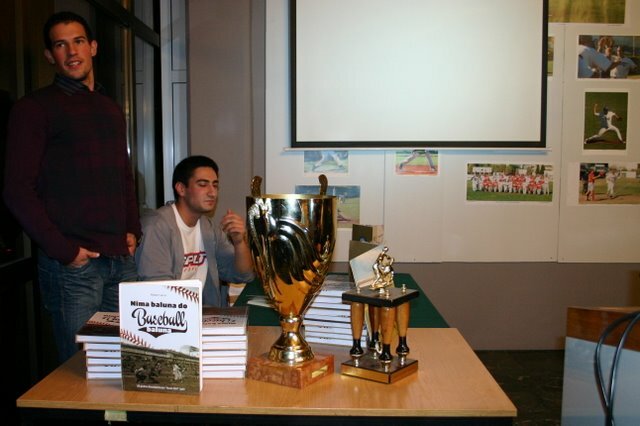 Together with the promotion, Nino Strmotic held a photo exhibition and presented his documentary movie “Nima baluna do baseball baluna” so that people who came (approximately 200 people) could better acquainted with the book, club and baseball. 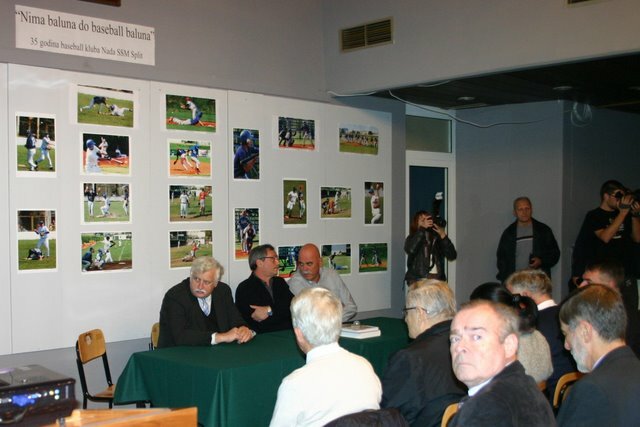 The surprise was bigger that on this promotion didn’t came only people who are involved in club and baseball, but also people from other sports and Split sports legends (Vladimir Beara, Dino Radja, Deni Lusic…) and can be conclude that Split finally recognized baseball for which big thanks goes to author Mladen Cukrov for the tremendous effort and love what he put into this book.